I seriously have too much time on my hands. And apparently nothing else to write about today. 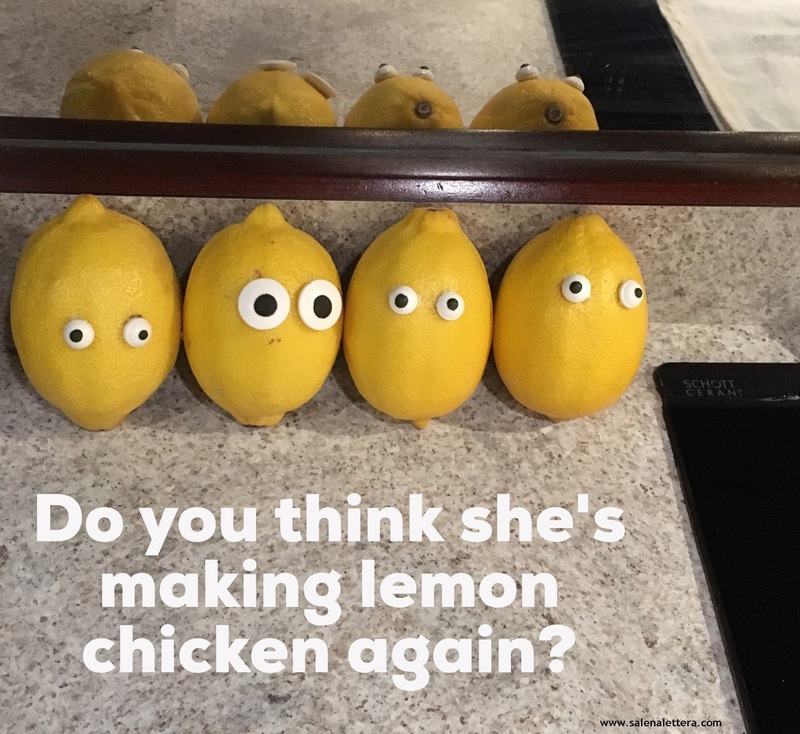 While Ed was working on my computer today, I spied these four lonely lemons sitting in the counter in the truck. He completely ignores me when he's engrossed in any kind of computer gadgetry, so he didn't notice me sticking candy eyes onto the lemons. When I was done, I said to him, "I don't like they way these guys are looking at me." Without looking up, he said, "What guys?" He finally raised his head, looked over, and cracked up laughing. The phrase on the photo comes from Ed calling me a "one-trick pony" because I make so many versions of lemon chicken. Whatever. He eats anything I put in front of him, no matter how many lemons I've squeezed on it. Even when it's not chicken.